In Neil’s sermon on Sunday, he highlighted that at a time of chaos and uncertainty, we have a responsibility to pray for our politicians and those in authority. But for a lot of us, it can be hard to know how to pray for our politicians. We can feel confused and paralysed by where to begin with praying about the issues facing our political leaders. To help you, we’ve collected together some useful resources to help guide you in your prayers. With the uncertainty and division around Brexit, Premier and Christians in Politics are calling the nation together in prayer. To help Christians know how to pray into this issue Andy Flannagan, Executive Director of Christians in Politics, and Peter Kerridge, CEO of Premier, have made this short video. As is highlighted in the video above, Premier and Christians in Politics have also written 10 short daily prayers to help you pray for the UK. These will help you pray into the ongoing Brexit debate, and also the wider impact that this is having. To sign up to receive these 10 text prayers, just text PRAY to 66 777. If you want to go further in your prayer for our politicians, but would like a starting point for your prayers, Christians In Politics have created a useful guide of what to pray for. Thay also have written a longer written prayer for those who would find this a useful aid. 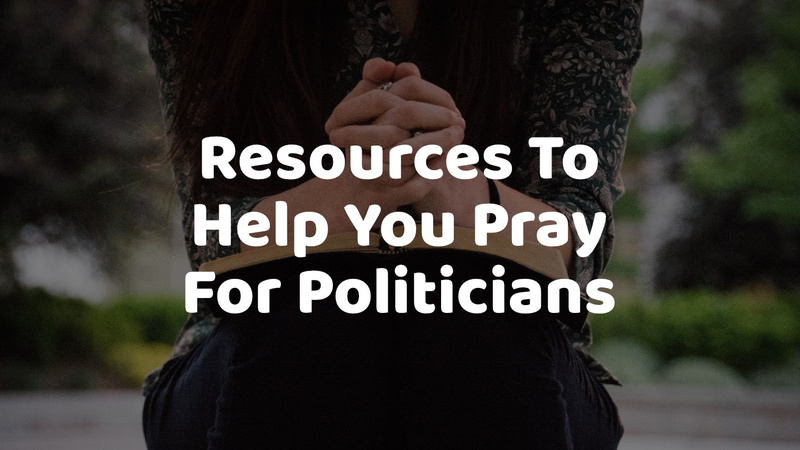 We hope you find these resources helpful as we continue to pray for our political leaders.